Hours after rival networks reported extensively on the ouster of its biggest star, Fox News finally addressed the departure of Bill O'Reilly on-air Wednesday evening. The news was discussed by Howard Kurtz, Fox's media analyst, during a segment on the network's 6 p.m. program "Special Report." By that time, the news had already generated considerable coverage on Fox's primary cable news competitors, CNN and MSNBC. It was also the top story on the websites of the New York Times and the Washington Post. Kurtz had filed a story on Fox's website earlier in the afternoon, but it didn't get mentioned on-air until he appeared Wednesday. After the news of O'Reilly's departure was introduced by "Special Report" anchor Bret Baier, Kurtz paraphrased much of his digital story. He called O'Reilly "the biggest star in the 20 year history at Fox News," but said that some female staffers at the network had grown "uncomfortable" with the idea of him staying on board. The announcement, Kurtz told viewers, came in a "terse statement" earlier in the afternoon from Rupert Murdoch and his sons, James and Lachlan, the owners of Fox News's parent company, 21st Century Fox. The news was also addressed during O'Reilly's old 8 p.m. hour, which on-screen graphics called "The Factor." Substitute host Dana Perino -- who had been one of O'Reilly's fill-ins during the vacation he has been on and was supposed to return from -- began the show by saying, "Before we get to the other big stories of the day, we want to address a situation many of you may already be aware of. 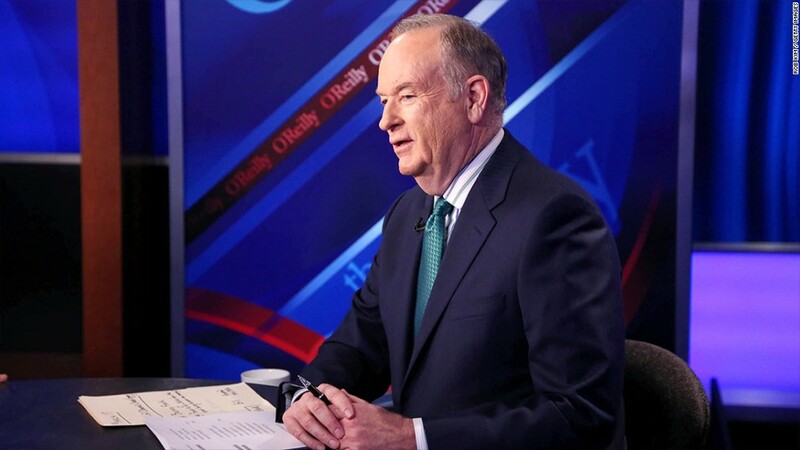 Bill O'Reilly, who hosted this program for 20 years, is leaving the Fox News Channel. We know that you, his very loyal viewers, will have a lot of feelings about this and we will talk more about it later on in the program." Perino returned to the subject at the very end of the show. "It is the end of an era here at the Fox News Channel," she said. "As we mentioned earlier, Bill O'Reilly is leaving this chair, and this network, after more than 20 years. Bill has been the undisputed king of cable news, and for good reason. He is an incredibly talented broadcaster who raised the bar for interviewers everywhere. He has also held his staff to exacting standards in his quest to put the best possible program on the air, and they are great. And you, his audience, responded in record numbers, making 'The Factor' the number one cable news show for more than 16 years. You have also been loyal, and we can't tell you how much that means to everyone on 'The Factor.'" The reasons for his departure were not mentioned. Related: What will Bill O'Reilly do now? Fox had for weeks largely ignored the scandal that ultimately brought O'Reilly down. Following the New York Times' report on April 1 that five women received settlements after accusing O'Reilly of sexual harassment or verbal abuse, Fox covered it only once: a brief mention on Kurtz's weekly media criticism program the day after the story was published. Elsewhere in the media, though, the revelation was a big topic among journalists and media executives, with many wondering if O'Reilly -- long seen as invincible for his ability to weather previous controversies -- might actually lose his job. It also prompted dozens of companies to drop advertisements on "The O'Reilly Factor," long the most watched show on cable news. But Fox was mostly silent. O'Reilly never addressed the Times report on his show, and none of his colleagues at the network defended him publicly. The muted response stood in stark contrast to how O'Reilly defended himself against sexual harassment allegations back in 2004, and the scorched earth counteroffensive mounted last summer by supporters of former Fox News chief Roger Ailes after he faced his own harassment allegations. Kurtz discussed the Ailes matter on-air more extensively than he did the O'Reilly controversy. And when Ailes was forced into a resignation in July, it was Kurtz who announced it on air.